The Lord Nelson PAC is committed to organizing fundraisers - and "fun-raisers" - to help support the growth of a strong learning environment. The money raised by the PAC is used to support student learning and to strengthen the school community. See below for more information on each fundraiser. Take a look at our sponsor page to see the tremendous support we have received from our local community business leaders and personal donors. Support our successful ongoing fundraiser with Donald's Market. Buy gift cards at face value and Donald's generously donate 10% back to our PAC! Coffee from the amazing Continental Coffee on Commercial Drive is ordered monthly. * Orders due on the last Tuesday of every month with payment. Coffee goes home with kids. Thanks to all who purchased poinsettias and chocolates for the 2018 holiday season. Stay tuned for details in 2019. No time to volunteer but want to contribute to the school? Have family that would like to help the PAC pay for school items. Simple donate online! Choose from a list of donation amounts, or enter a specific amount. 7. Review the information for accuracy and click on “Continue” if everything is correct. The donor will then be prompted to sign in. If the donor doesn’t have a School Cash Online account, then click on “Click here to register now” and follow the steps to complete the registration process. This will require you to validate your email address and then login. If the donor does have an account then continue with the payment process to complete the donation transaction. After the payment has been processed a donation receipt will appear on screen for printing. The donor will also receive an emailed copy for tax purposes. 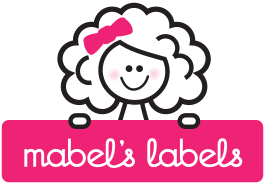 For any orders you place with Mabel's Labels, Lord Nelson PAC receives 20%! Click here to go direct to our fundraising page, or simply choose Lord Nelson Elementary from the drop-down list of organizations in the fundraising list. Have an idea for a fundraiser? Tell us about it by clicking here and let's see if we can make it happen!